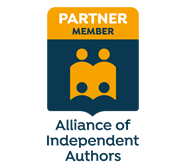 I’ve worked with many independent authors. Some are experienced, some are developing, and some are absolute beginners. If you're in the early stages of your self-publishing journey, you'll probably welcome any help you can get. In this article I'll summarize the problems I most often come across in beginner writing, especially in novels, so that you can raise your game and lift your writing to the next level more quickly. ​Also, paying attention to these issues at draft stage will reduce your third-party editing costs further down the line. Don't forget to claim your free copy of my Guidelines for New Authors booklet, which includes this article and a wealth of additional information for beginner writers. You can find the link at the bottom of this post! Some new authors are so desperate to publish that they omit the drafting stage. Hush time means putting the book aside for a while and revisiting and self-editing with fresh eyes. If you don’t go through the drafting stage, you’re less likely to spot problems with plot, pace, readability and repetition. And that means your book will not be ready for the later stages of editing like copy-editing and proofreading. Editor and writing coach Lisa Poisso has some excellent advice on managing the drafting process strategically: How to revise the early drafts of your novel. Gold recommends getting straight to the point – unless, of course, something important happens in the detail that’s key to moving the story forward. If it’s just detail that mimics the mundanity of real life, strip it out. Watch out for repetition, especially ‘wow’ words. If Jo thunders down the hallway, her face like thunder, you have a problem. If the reader is told that Mike is ‘in agony’ and ‘agonized’ several times in one paragraph, trim the fat (and think of some synonyms!). High-intensity scenes of fear, danger, desire or confusion are those most prone to repetition and over-explanation in beginner writing, usually because the author is worried that the reader might not understand what the character’s experiencing. Gold calls these ‘emotionally overwrought passages of purple prose’. When drafting, consider creating a list that features key moments of disclosure and emotion/response. By mapping these moments, you can see whether the descriptions lie in close proximity to each other, and whether you’ve already provided enough detail earlier in the book. Then you can cut accordingly. Less is more. Telling twice is another consequence of not trusting the reader to fill in the gaps. ‘Help yourself to coffee if you wish. It’s over on the table.’ She pointed in the direction of the coffee table. The bold text in the example above simply repeats what we already know and it’s therefore superfluous. It’s another issue to watch out for at self-editing stage. Removing this kind of detail makes the writing leaner and sharper. Logic flop happens when writers try to avoid conjunctions (probably because they’ve been told that conjunctions are boring and shouldn’t be overused). This can lead to grammatical hiccups that disfigure the writing and trip up the reader. Running barefoot along the corridor, Roy bolted into the bedroom. Roy ran barefoot along the corridor and bolted into the bedroom. In the first example, we have a character seemingly doing two things at once – running through one place while he’s making his way inside another. And to the discerning reader, the first phrase will even seem to modify the second (Roy bolted into the bedroom in a manner of running barefoot along the corridor). The second, edited version introduces a conjunction that brings logic and clarity to the sentence. Conjunctions are a perfectly natural way to join connecting action clauses that happen one after the other, and don’t need to be avoided simply on principle. Don't be afraid to embrace them! The use of contractions isn’t always appropriate, particularly when the writer wants to introduce formality (e.g. in a historical setting or in academic non-fiction) or emphasis. However, in contemporary novel writing, the narrative can feel laboured if contractions are excluded, especially in dialogue. In real life, people don’t say things like ‘we are going’ and ‘I would have liked to’ so it’s often better to offer the contracted form. If in doubt, say the words out loud. If the likes of ‘we’re going’ and ‘I would’ve liked to’ sound more natural in the context of your book, then use contractions. Readers won’t notice if you do, but they might stumble if you don’t. Take care not to overuse exclamation marks. Too many can be distracting and overwhelm the text. Exclamation marks can detract from the gravity of a statement, making it sound upbeat when a different mood was intended – tension, fear, anger, danger. If you’ve used the right words to convey the mood, the exclamation mark will often be superfluous. Read them out loud and decide which one best conveys the speaker’s disbelief. I think the first does the job perfectly well. The second introduces a light-heartedness that may or may not be appropriate. The third is overkill. Arlene Prunkl’s ‘Dialogue in fiction’ series is my recommendation for independent authors who want free, detailed guidance on managing fiction dialogue effectively. Part III addresses speech tags (among other things), though the whole series is well worth reading. Beginner authors can be reluctant to overuse he said/she said constructions, even though they’re the most discreet way of tagging. Prunkl says, ‘Your job, as a newer writer, is to show emotion through the dialogue words themselves, not through the tags.’ She therefore recommends avoiding tags such as ‘hissed’, ‘sighed, ‘laughed’, etc. – not because they’re not good words but because they’re not words that describe the action of speaking. To hiss is to make a sharp sibilant sound; to sigh is to emit a deep, audible breath that expresses relief or sadness; to laugh is to express amusement through spontaneous sounds and movements of the face; to say is to utter words – and that’s why ‘said’ is an effective speech tag. Take a look at these examples; the bold versions are clean, effective examples of dialogue tags that won’t trip up the reader. ‘You think I care?’ she laughed. ‘You think I care?’ she said, laughing. ‘I’m done with you,’ she sighed. I'm not saying you should only ever use 'said' – just apply a little caution! Focus on making your book look beautiful after the bulk of the editing has been done. Fancy fonts and heavily designed text are difficult to work with at editing stage. Furthermore, the layout might have to be reworked if there are major additions or deletions to the text during structural editing and copy-editing. Word’s styles palette is sufficient prior to the design stage. You (or your copy-editor) can introduce consistency to the different elements of the book (chapter titles, headings, quoted matter, main text, captions etc.) in a way that’s clear and simple. Some beginner writers think that one pass – a ‘final proofread’ carried out by a third-party professional – is enough to guarantee absolute perfection. It’s not. The mainstream publishing industry doesn’t believe it’s possible, and nor should the independent author. If you hire a professional to proofread or copy-edit your Word file, and that file has not been through previous rounds of extensive and meticulous editorial revision, there will likely be thousands of amendments – spelling, grammar, syntax and punctuation errors and inconsistencies; layout problems with regard to spacing and paragraph indentation; inconsistency with regard to character names and traits, and across word forms. Get as many fresh eyes on your work as you can afford. If budget’s an issue, that’s fine, but make sure your expectations reflect this. Good luck with the self-editing process! ​And as promised, here's your freebie! It includes lots of useful guidance and links for newbie writers. I hope you find it useful. Click on the picture to get your copy. If you're an author, you might like to visit Louise’s Writing Library to access my latest self-publishing resources, all of which are free and available instantly. I just started reading my NaNoWriMo2016 draft for the first time since writing it. It features a football team that has a kicker in the first half of a game but doesn't have one in the second half of the same game. Fortunately, I'm reading it with fresh eyes, so the problem was quite obvious. There are plenty of other flaws, of course, but that one probably amused me the most. And no reader will ever know about it unless they read about it here, because I've already deleted the evidence. Good for you for taking the hush time, Michael! Those fresh eyes will help you bring clarity and logic to the structure of your novel and really elevate your writing. Good luck with the revision process. Amen to that, Louise, especially two of the last points: speech tagging problems and unrealistic expectations. Being an academic writer, i can really relate to these as they are the most common mistakes that i made at early stage of my career. Great blog for the upcoming writers.